Sure, okay, there’s a LEGO movie. But you know what, it doesn’t look that bad. In fact, it looks pretty darn good. Yeah, we were surprised too. And now, Warner Bros has released a trailer for it for all to enjoy. Chris Pratt, Will Ferrell, Elizabeth Banks, Will Arnett, Nick Offerman, Alison Brie, Charlie Day, Liam Neeson and Morgan Freeman provide the voices and the Cloudy With A Chance Of Meatballs team of Phil Lord & Christopher Miller wrote and directed. Check out the trailer after the break. Look for The LEGO Movie to hit theaters on February 7. Superman. Michelangelo. Kobe Bryant. Where could you possibly see them all in the same movie? Well since the title of the article already spoiled it for you, I don’t have to leave you in suspense before revealing The LEGO Movie as the answer. Chris Pratt will lead an ensemble cast including Morgan Freeman as Vitruvius, an old mystic, and Liam Neeson taking the role as Bad Cop. 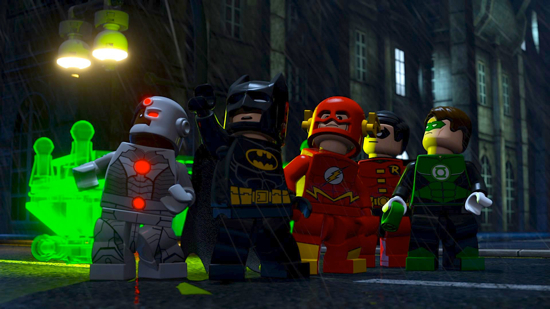 As you’ll see in the teaser below, The LEGO Movie is far from your typical film. In a world where continuity barely exists, tons of LEGO licenses are brought together in what may be considered an ultimate mashup style movie. Similar to the vein of Toy Story where the setting explains why this variety of characters would be together, The LEGO Movie has Pratt’s character Emmet who mistakenly finds his way into a fellowship of Master Builders including Freeman’s Vitruvius, Batman, Superman and the like. They will be taking on Neeson and Will Farrell (who upgraded from President to Lord Business) in this CG movie. Interestingly enough, the movie is presented in a stop motion fashion even though it is obviously CG. Even more interesting is that there are collections of YouTube creators out there making actually stop motion that looks smoother than that of the trailer. This should be happy news, but I don’t think it is. 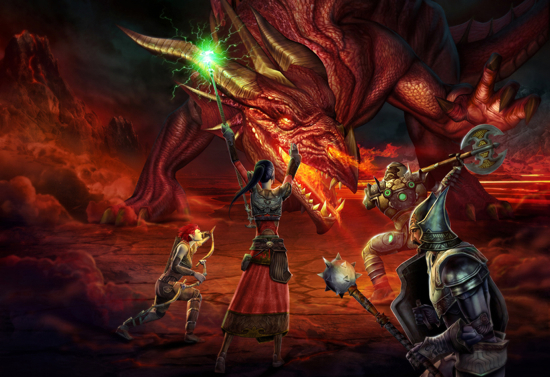 Warner Bros. has aquired the movie rights to Dungeons & Dragons and are developing a feature film version. I’m trying to be optimistic here but this development brings up several important questions, especially this one: what’s the story? If you know anything about D&D, and I would bet most Warner execs don’t, it’s not a game with one, set story. It’s a game where players basically make up the story as they go along. Sure, there’s some common elements like the various character races, occupations and such, and the Dungeon Master certainly plans out some of what might happen during the game, but the rest unforlds on it’s own as the game progresses. In other words, simply saying “We’re making a D&D movie” doesn’t really make a whole lot of sense. But that doesn’t really surprise me. Warner Bros. just wants its own Game of Thrones or Lord of the Rings and to them D&D is the same thing and a name they can exploit. To answer the story question (and this doesn’t exactly fill me with confidence either), the studio is apparently going to use an existing script by Wrath Of The Titans and Red Riding Hood writer David Leslie Johnson. That script is called Chainmail and is reportedly based on the game Gary Gygax and Dave Arneson thought up before they created D&D.